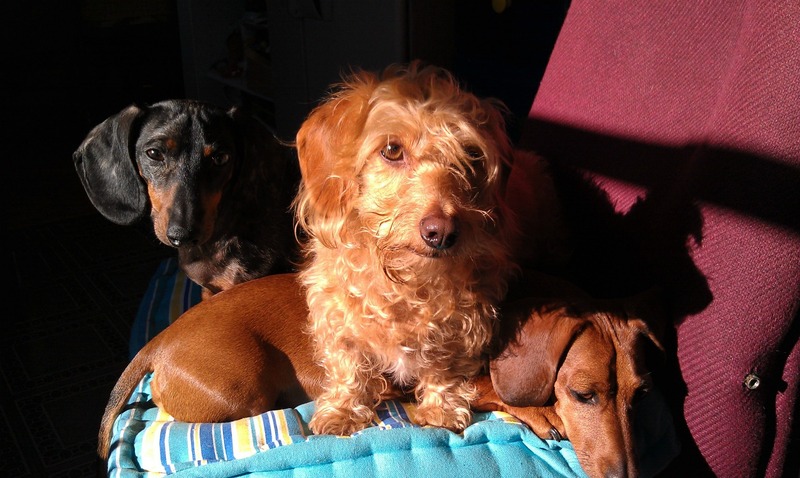 My Three Doxsons: What you call a "pack animal"? What you call a "pack animal"? Foozie-B, loves to be with his Dad. 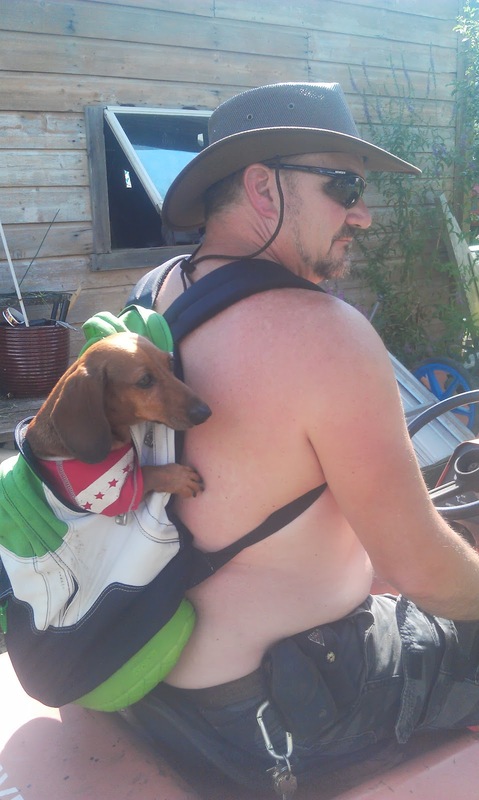 I know why dogs get the name Shadow, that's what he does, but to be safer on the mower I stuffed him in a backpack and he was totally content to hang out, being close to Dad, and the altitude was an added bonus. 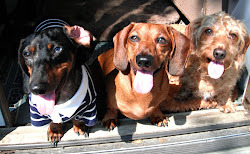 Dachshunds do like to have a bird's eye view, so to speak. Gives a guy a whole new perspective, instead of straining to see over the tops of the grass if its not been cut in a timely fashion you can see everything. I joke that Fooze should be duct taped to Jerry's back to he can be as close as possible, the pack works just about as well, I zipped him in all snuggly. Either that or we wrap him up like a papoose. I'm sure he'd be fine with that.